Have you ever traveled to a new city, and worked with the concierge at your hotel? Now, that is a cool job. The concierge simply exists to make sure you have what you need to enjoy your stay. Reservations to a great restaurant? She’s on it. Tickets to a show? Done. Got a question about where to get a great cup of coffee or where the best sights are in the area? She’s got you covered. 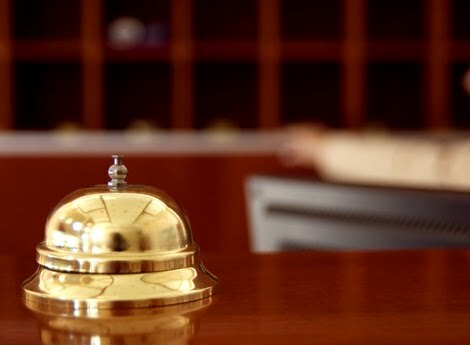 If a concierge “simply exists to make sure you have what you need to enjoy your stay”, then I like to think of myself as a concierge for new employees. For many Learning & Development professionals, New Employee Orientation is a necessary evil…just a “broken record” presentation that happens every other Monday, or whenever the organization plans it. A heavily scripted HR-Show-and-Tell. I don’t see it that way. To me, one of the best parts of my job is getting to spend time with each new employee during Orientation and throughout the onboarding process. In a proverbial sea of new faces, teams, processes, and culture, it’s nice to know that there is a person you can contact if you have a question, need to find something, or just need reminded about what the login was for that obscure system we briefly discussed. And I like to be that person.